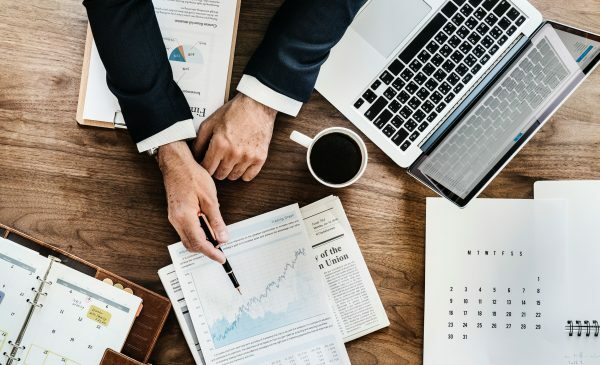 As a business owner you are likely to encounter new business financial terms in the process of investigating funding options with lenders or potential investors. You will need to understand them so that you can make the best financial decision for your business. This is one of the business financial terms probably known to any small business owners. Bankruptcy is a legal term for when a business or person cannot repay their outstanding debts. This legal process is normally initiated by the business (debtor) as a form of protection to provide a structured plan for reduction and repayments of debts to its creditors or to completely eliminate the majority of outstanding debts (due to not having the financial resources). This is an important, difficult decision to take since it has long term negative effects on a business credit history. In business financial terms, bootstrapping means financing the start-up and growth of a new a business using your personal income, savings and sweat equity. You, as the business owner, are your own principal investor. As the business grows, resources are stretched and reinvested, both financially and otherwise, to get it running successfully. It is not for everyone. Business Credit Reports are created by credit bureaus that record information about a business’ financial history. They are used by lenders, investors and insurance companies to determine risk factors for issuing business financial loans. Business credit report bureaus include: Equifax, Dun & Bradstreet and Experian. 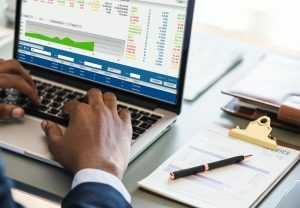 A business credit report will include information like how large the company is, how long has it been in business, amount and type of credit issued to the business, how credit has been managed, and any legal filings (i.e., bankruptcy) and a numerical ranking, similar to that of a consumer credit report. This is one of the important business financial terms that the business owner clearly understand. A credit limit is the maximum amount of credit that a financial lender will extend to your business (as the debtor) for a particular line of credit. This is also referred to as a credit line, line of credit, or a trade-line. When your business has borrowed or exceed this limit, you have “max out” your credit limit. The DSCR is the ratio of cash flow available to your business to pay current debt obligations. Your business debt payments include making principal and interest payments on the loan you are requesting. A financial Lender will typically calculate DSCR by dividing the business’s annual net operating income by the business’s annual debt payments. For example, if your business’ net operating income is $125K and your annual debt payments are $100K, your business DSCR is 1.25. In general, if your business DSCR ratio is above 1.0, your business has enough income to meet its debt requirements. A FICO score is a type of personal credit score created by the Fair Isaac Corporation. It measures consumer credit risk. Financial lenders use a borrowers’ FICO scores along with other details on the borrowers’ credit reports to assess credit risk and determine whether to extend credit. If your business is considering debt financing, your personal FICO score will normally be included by the financial lender in the evaluation process since it is viewed as predictive of how responsible your business will be in repaying the extended loan. In contrast to a fixed rate, a floating interest rate (also referred to as variable rate or adjustable rate) will change with market fluctuations (up or down) during the lifetime of the debt instrument, such as a conventional business loan. The floating interest rate is “indexed” to a third-party interest rate (prime rate). Often promoted by a financial lender as an introductory or teaser interest rate, the floating interest rate will start out being lower than a fixed interest rate loan. This may/may not be to your advantage depending upon the future trend of the lending market. A guarantor is someone who “guarantees” your business loan or credit contract, that is, promises to repay the debt if the borrower can’t or won’t. A guarantor acts as a co-signer of sorts, in that they pledge their own assets or services if a situation arises in which the original debtor (your business) cannot perform its obligations. If you business is new, with limited financial history, a financial lender may insist that your business (as the borrower) has a guarantor for their loan. Probably the most basic of business financial terms is the interest rate. All debt instruments, such as a business loan are assigned interest rates. This is the fee as a percentage of the principal amount charged by the financial lender for the use of its money. Interest rates are typically noted on an annual basis, commonly referred to as APR. A line of credit (LOC) is a financial instrument between a financial lender, such as bank, and a business customer, that established the maximum amount of a loan that the business can draw upon when capital is needed. This is normally an unsecured, short-term, financing option where you are charged interest only on the amount borrowed. Since this loan amount is “pre-approved”, it allows a business quick access to capital when needed. Business financial terms that all small business owners should be familiar with are presented. Understanding these terms will help the business owner in dealing with financial lenders and potential investors. ← Is A Microloan Right For Your Business?